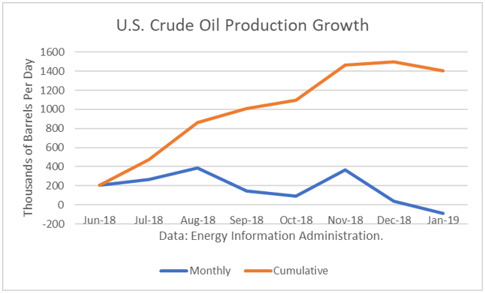 The Energy Information Administration reported that November crude oil production averaged 11.900 million barrels per day (mmbd), up 345,000 b/d from October. 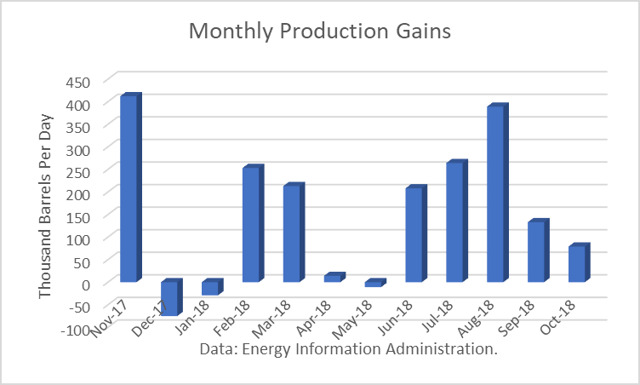 This estimate capped a spectacular 6-month gain of 1.436 mmbd from June through November, a period when capacity takeaway constraints had been expected to slow down the growth in Texas. 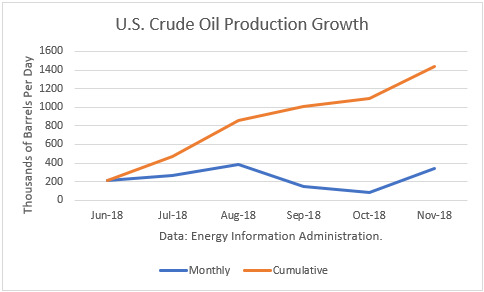 The Energy Information Administration reported that October crude production averaged 11.560 million barrels per day (mmbd), up 79,000 b/d from September. This was a slowdown in growth from the spectacular numbers recorded in July and August. However, the year-over-year gain was still a very impressive 1.850 mmbd. And this number only includes crude oil. Other supplies (liquids) that are part of the petroleum supply add to that. For October, that additional gains is about 600,000 b/d. 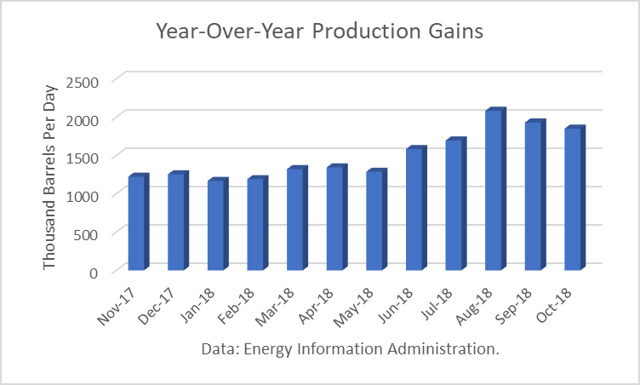 The Energy Information Administration (EIA) reported that February crude oil production averaged 10.264 million barrels per day (mmbd), up 260,000 b/d from January, setting a new all-time record for the U.S. The large increase reflected a gain from a level that was constrained by weather issues. 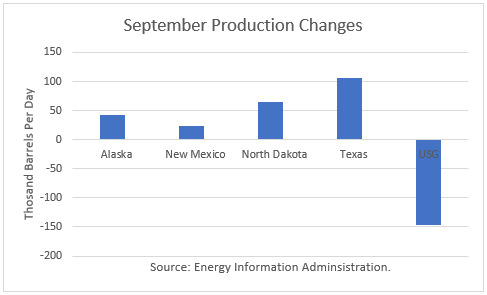 The largest increases were recorded in Texas (106,000 b/d), the Gulf of Mexico (89,000 b/d) and New Mexico (46,000 b/d).